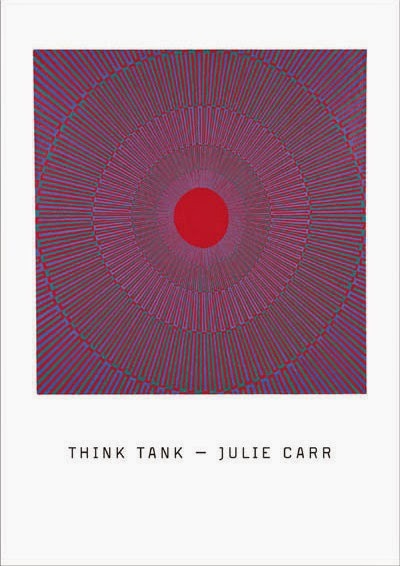 Denver, Colorado poet Julie Carr’s most recent poetry book, Think Tank (New York NY: Solid Objects, 2015), is constructed out of an accumulation of stand-alone fragments that articulate how one navigates through the chaos, grief and beauty of living. Composed as a series of short sketches, the poems of Think Tank also include some three-dozen lines incorporated into her text, and a list of those lines and their source authors exists at the end of the collection: César Vallejo, John Ashbery, Inger Christensen, Erin Mouré, Lisa Robertson, Alice Notley, Eileen Myles and Stephen Ratcliffe, among others. There is a darkness in Carr’s work I’ve seen throughout her published work, one that exists not in isolation, but as part of a much larger canvas. Carr doesn’t shy away from violence, death or other subject matter, but an element that requires acknowledgment and examination.